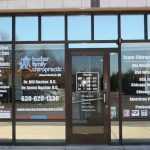 Whatever the industry or the area of activity of your business, you can use your front window to communicate your core values and your most important marketing messages to your potential customers. 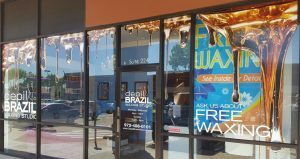 Whether you want to promote some of your special offers, want to secure the privacy of your employees, or simply aim to educate your potential clients on your assets, high-quality vinyl graphics and window signs can help you achieve your goals. All Venue Graphics and Signs is your trustworthy business partner, able to create the most appealing and catchy graphics, displays and window clings that contribute to the increase of your brand awareness. 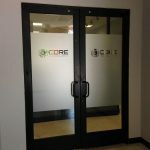 Call All Venue Graphics and Signs for a Free Consultation with A Window Signs Expert today at (954) 504-9965! All Venue Graphics and Signs creates any type of window sign or graphics for your business. We employ expert graphic designers who are experienced in creating graphics that match existing branding while also communicating the right messages in a clear and compelling manner. If you don’t know which product would suit best your project, you are welcome to contact us to discuss your signage needs and your opportunities. We offer all our clients a free consultation with our window signs expert team. Based on this discussion, we will make you recommendations for the best vinyl solutions for your project, in terms of budget and location. 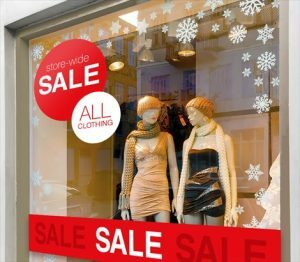 Retail stores use their window displays to advertise their special promotions, sales and discounts. This practice attracts lots of new buyers, helping these stores increase their sales. Whatever the type of special promotion you want to offer your customers, your window display is the perfect medium to deliver your messages to your audience. Most often than not, window displays are updated several times a year to feature the latest or the hottest products you have available. We can create catchy and effective banners, signs or graphics to help your window displays stand out from the crowd and attract more customers to your store. Many office buildings and private practices use exterior privacy film to cover their windows. 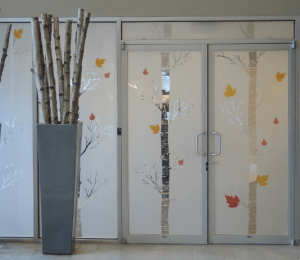 We can offer you privacy film that replicates frosted glass panels to perfection. With us, you can enjoy the look and feel of frosted glass panes at only a fraction of the cost. Many companies prefer to have their name or branding elements printed on their privacy film, in order to create awareness for their business. 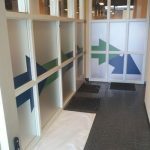 We can design a custom privacy film that includes your logo or your branding. We can also show you some of the most popular vinyl film options, so that you can pick the one that’s right for you. You don’t need to be a retailer to benefit from an attractive window display. You should use your windows to communicate your most profitable services and your special offers. You can even install a window mural to illustrate your customer service process. We can assist you with the creation of the graphics, as well as with the production of these window signs. Moreover, we are happy to install these films for you, in order to make sure the end result is going to be perfect. We are your trustworthy partner from start to finish. 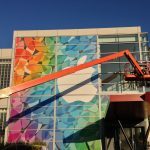 All Venue Graphics and Signs has the skills and the knowledge to create the perfect window signs and films to match your business needs. I can't wait to work with them again! !